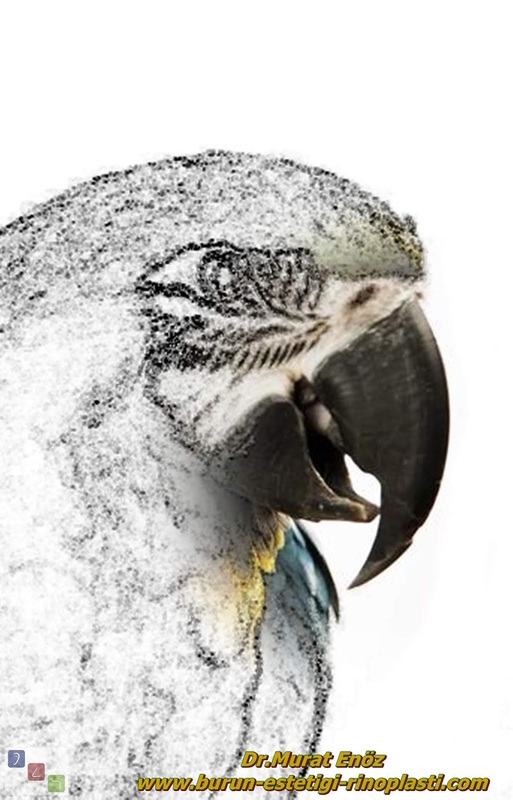 A nasal image similar to that of a parrot's beak may appear when the natural proportions of these two regions deteriorate after nasal surgery. 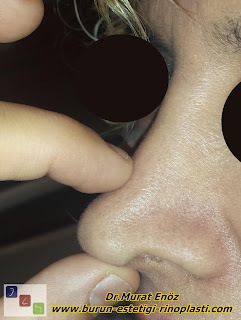 This deformity, which is caused by the supratip area being ahead of the type zone, is called "Polly Beak Deformity" or "Pollybeak Deformity". This deformity can occur due to more than one cause. The most common cause is inadequate resection from the supratipid region. 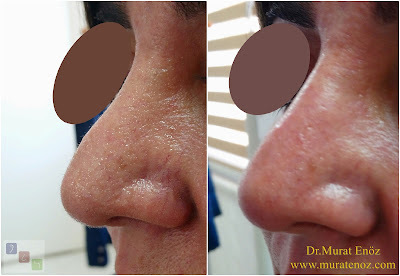 So the beak nose deformity is a complication of a nasal aesthetic. 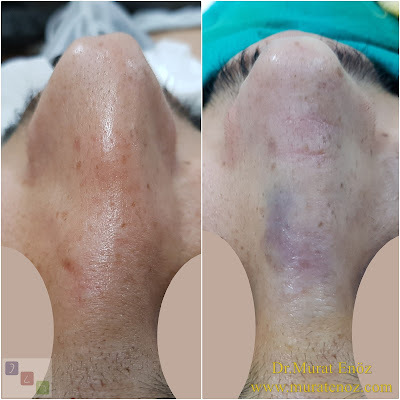 In addition to being insufficiently taken during surgery, it may also be due to the growth of the extreme wound healing tissues that may occur in the suprathep region, leading to the growth to the front. In this case, re-operation of this region can be sufficient for treatment. 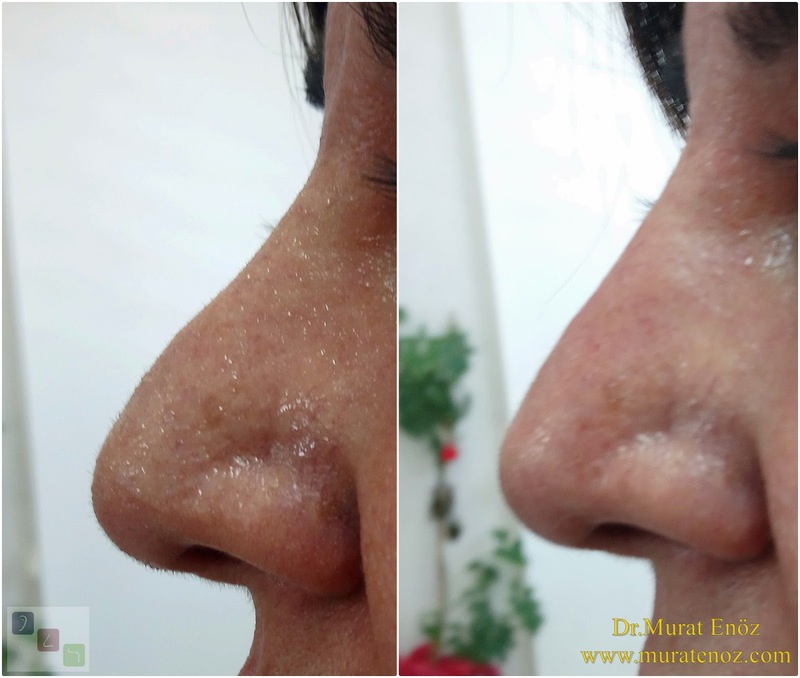 Especially in patients with thick skin, after the nasal aesthetic surgery, excessive healing texture (scar tissue) may develop in the supratip region and this appearance of parrot-like beak may occur. Another cause of the beak nose deformity may be nasal tip collapse. When the nasal region is farther behind than the supratipal region, a buccal nasal deformity can occur again. The surplus in the Supratip region pushes the tip of the nose down, causing the "tip" region to rotate downward. This deformity is also known as "parrot beak deformity" or "supratip fullness". 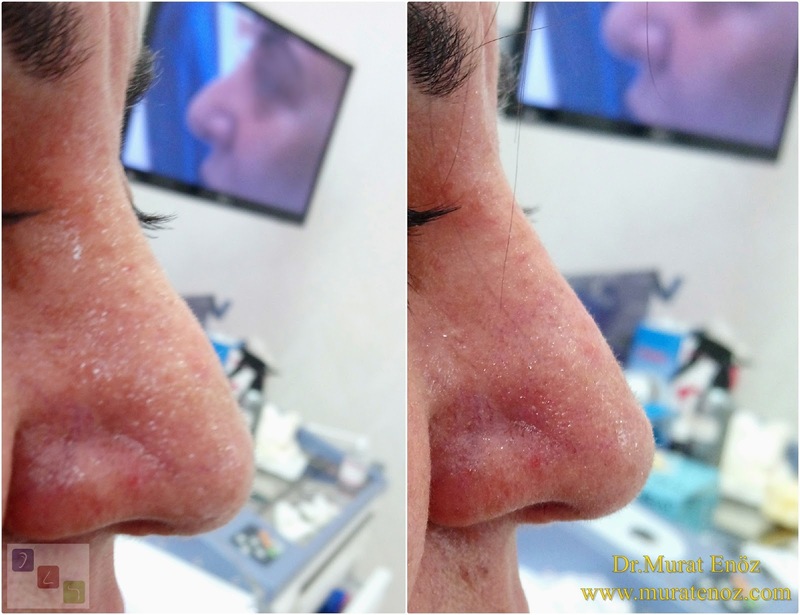 nose deformity, in fact, the physician who performed the nasal aesthetic is also mistaken; Swelling during surgery, hiding this deformity, and replacing the supratip area with scar tissue in the post-operative period, revealing this deformity. 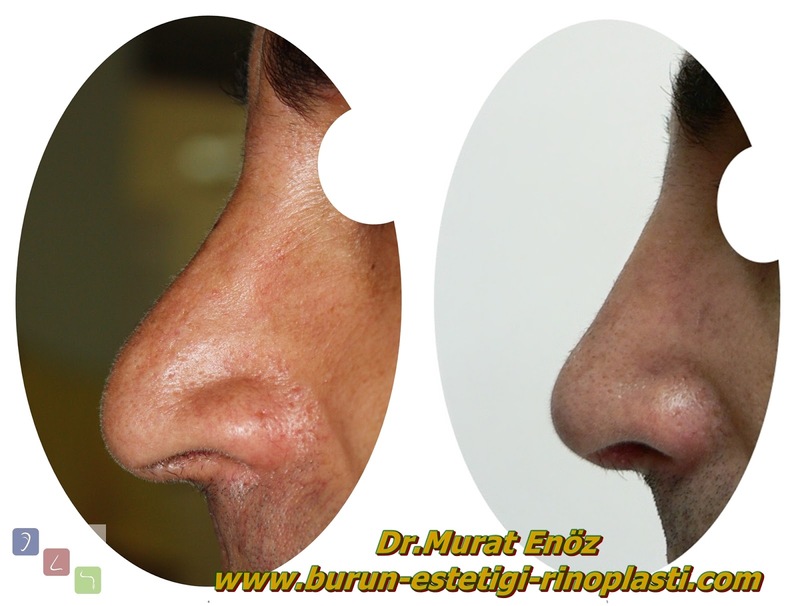 Patients with beak nose deformities often complain of the most complaints "beak appearance". If the nasal support is also weak; This appearance can be exaggerated when you are laughing. 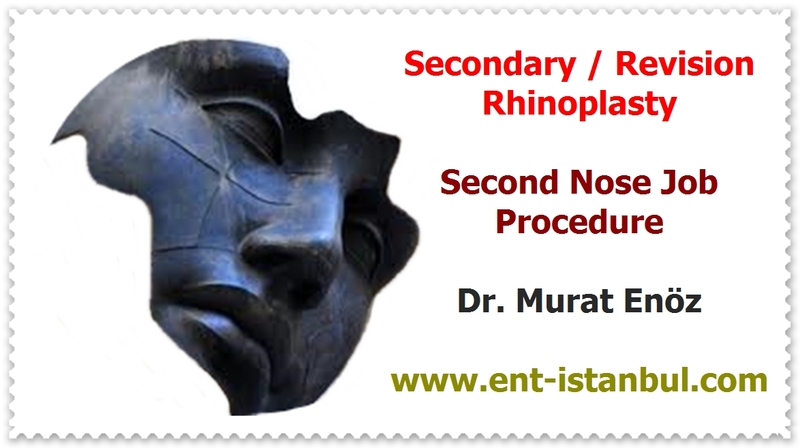 In patients with deformities classified as "cartilaginous polly beak", revision nose aesthetics (secondine rhinoplasty) can be planned and treated. 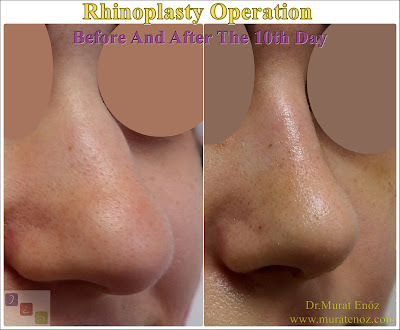 Tissue resection and other interventions can be performed depending on the amount of deformity and cause. 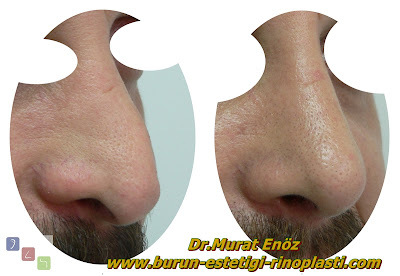 As seen in the picture, the lower part of the superior part of the supratip is lowered by the lowering of the tip of the tip of the nose, which is caused by the reduction of the height of the nasal tip and the removal of the nasal tip. 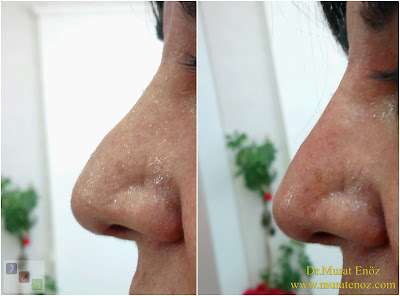 In patients with deformities classified as "soft-tissue polly beak", steroid injection and banding may be recommended in the supratip region (I do not like the use of close-up cortisone injections because of side effects ...). 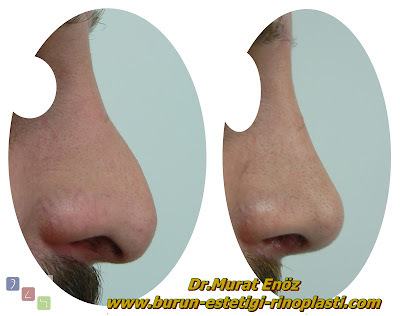 Gaga Burun Deformitesi Nedir? - Pollybeak Deformitesi Nedir? 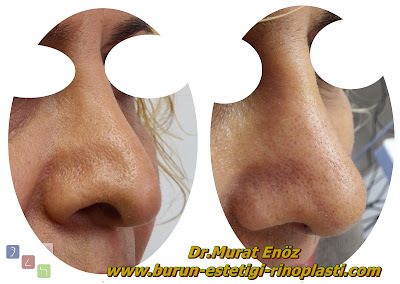 - Polly Beak Deformity - Revizyon Burun Estetiği - Gaga Burun Deformitesi Nedenleri - Gaga Burun Deformitesi Nasıl Tedavi Edilir? The following photographs show the nose views of the patients who underwent one or more nasal aesthetic surgeries and who underwent revision nasal aesthetic surgeries due to beak nose deformities. 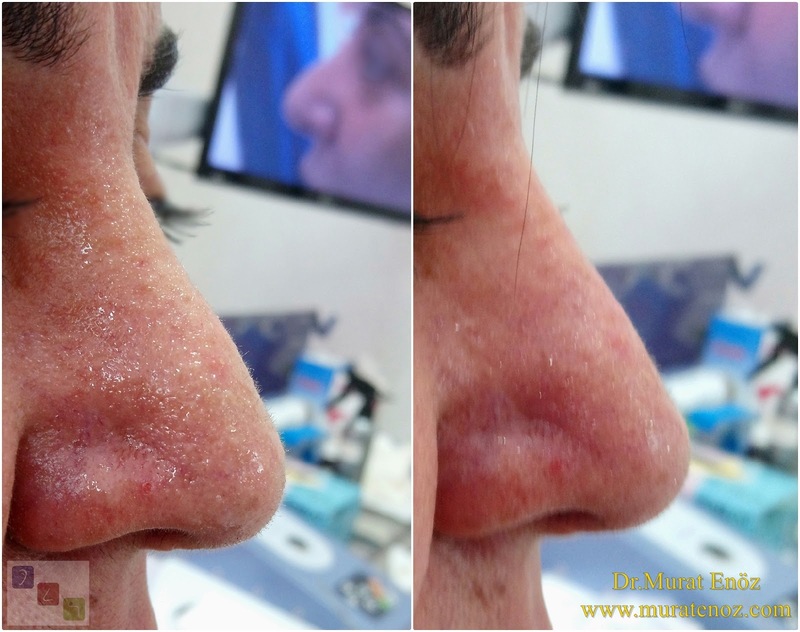 The above video and photos show the use of a filler with crosslinked hyaluronic acid in the beak nasal deformity. These fillings with an effect duration of 1 year may be an alternative treatment option, albeit temporarily, except surgical treatment.